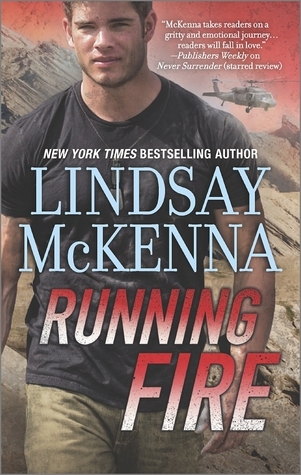 Naturally, Lindsay's military experience is the backbone of her writing--in addition to being credited with writing the first military romance novel (Captive of Fate, 1983), she has created a thriving sub-genre within the romance field. It is, therefore, no surprise that her many experiences in the U.S. Navy are a backdrop for her upcoming Operation: Shadow Warriors series. Lindsay has an exciting new series coming this fall ... and we will talk about it here at SOS Aloha! 1. Leave a comment about the Navy - what do you know about it? I just read the Navy is hosting a special march in June 11 at the Naval Academy to commemorate the 73th anniversary of the Battle of Midway, a decisive battle in WWII. Learn more about Lindsay and her books at lindsaymckenna.com. I've got a couple of cookbooks, but no recipe books. All of my recipes are in an exercise book. Recipes I have written or pasted in. 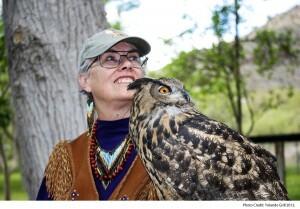 Sounds like an exciting series, and what a stunning owl! We have several cookbooks that we regularly refer to (my hubby tends to collect cookbooks to balance out all of the romances crowding the house, lol) but I tend to like to cobble things together and he likes to follow detailed recipes. Thanks for the giveaway...and you know that we always appreciate all that the military does to keep us safe! no. I don't cook and I've been asked nicely to stop trying :) thanks for sharing! I have loads of cookbooks, one from my mom that she got as a wedding gift over 60 years ago. Especially love the 2 Deb Macomber and the one Susan Mallery cookbooks that I have. Have made many recipes from all 3 of them. I've had several family members serve in the Navy. My uncle was in the Navy in WW!!. They have played a big part in all the wars we have been in. I received two recipe books at my bridal shower--one from each side of the family. my cousin's family is Navy, my family is Army. I've got lots of cookbooks, and two recipe books. They're all in the cupboard above the fridge, so I rarely get them down. My husband was in the Navy but he was a SeaBee so not your typical sailor. One of my uncles served in the Navy during WWII. My maternal grandfather was in the Navy during WWII. He was a ship firefighter and was injured fighting a ship fire and forced to stay at base to recover. My grandmother got a letter from him complaining about being 'landed' a few days before she heard that his ship was sunk and most of the men were lost. We are a Navy town here in San Diego. Just had one of our aircraft carriers pull out for deployment a couple of days ago. I have toured one of them. Amazing how large they are. I have several recipe books with plastic inserts for the recipe cards. This arrangement works really well for favorite family recipes. Only that my dad was in the Navy before he met my mom. He said he worked as one of the cooks. my Dad and uncle were both in the Navy in WWII and my cousin was in on an aircraft carrier in the 60's. I've got some of my Dad's things that he kept. I have 2 uncles there were in the Navy during WWII, and a couple of cousins that are retired from the Navy. My great uncle was in the navy during WW2. Not much, I know I should know more. Don't know anything about the Navy. But like the Marine are dedicated people.